Lionel Messi is back in the Argentina squad for the first time in almost nine months, although Sergio Aguero has been left out. 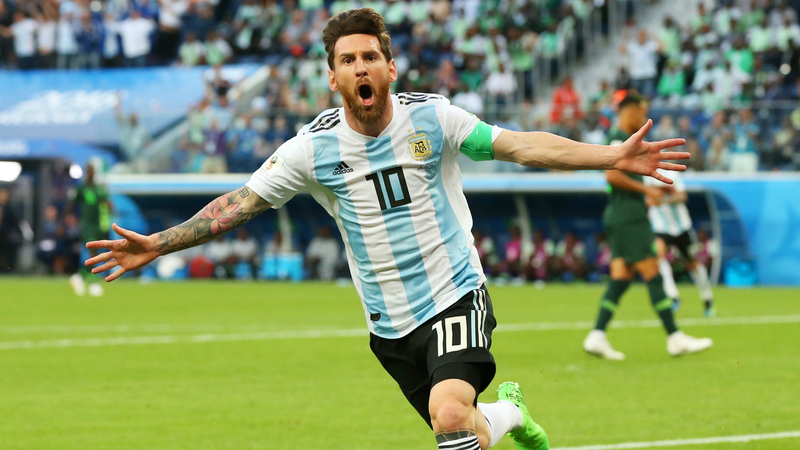 Messi has not played for his country since the 2018 World Cup, where Jorge Sampaoli's side lost to eventual winners France in the last 16. Sampaoli's successor Lionel Scaloni has been unable to call upon the Barcelona captain for any of Argentina's matches since taking charge. But Messi will soon make his international return as he is in the Argentina squad for upcoming friendly matches against Venezuela and Morocco. There is no room for Aguero, however, with Scaloni favouring Lautaro Martinez, Giovanni Simeone and Dario Benedetto over the Manchester City star. Inter striker Mauro Icardi also misses out, as he has not played for his club since February 9 amid a stand-off that began with him being stripped of the captaincy. Gonzalo Higuain is another high-profile attacking omission. Like Aguero, Chelsea's on-loan Juventus striker has not been involved for the Albiceleste since Russia 2018. Scaloni has once again taken the opportunity to shuffle his pack and call up a host of uncapped players. Goalkeepers Esteban Andrada and Juan Musso could feature for the first time, while Gonzalo Montiel and Lisandro Martinez are newcomers in defence. Midfielder Matias Zaracho has been called up before, but the 20-year-old winger is still hoping for a debut cap, while Ivan Marcone and Domingo Blanco are similarly inexperienced on the international stage. The new face among the forwards is Matias Suarez, a 30-year-old attacker who has scored three times in six league games for River Plate since joining from Belgrano in January. There is also a return for Manuel Lanzini, who has not featured for Argentina since damaging knee ligaments in a World Cup warm-up match against Haiti last May. Argentina will compete in the Copa America this year, having been drawn in Group B alongside Colombia, Paraguay and special guests Qatar. Messi and Argentina have been on the losing side in each of the past two Copa America finals, beaten by Chile on penalties on both occasions.